All Australians carry boomerangs. All Dutch people wear clogs. 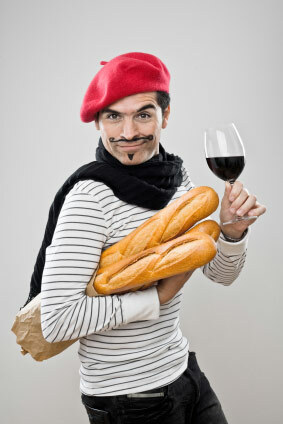 Every Frenchman in existence has a stripey shirt and beret. Everyone from England is a football hooligan, and of course, give a New Zealander a sheep… well you get the idea. The above statements look stupid, because they are stupid, yet stereotypes are firmly rooted in our beliefs. A few years ago I put a blonde streak in my hair (it seemed like a good idea at the time) and as soon as I walked into my local bar in the village I live in, down in southern France, my friends pointed to me and said, “Eh, Tony… ‘Ooligan!”. I was hurt by the accusation. 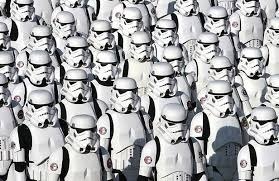 As a Wimbledon supporter, there are never enough of us to start a fight, but also it helped me to realise that it is very easy to stereotype another race of people, even if the individual in front of you shows no evidence of being anything like the stereotype. Reality is ignored, over belief. The French actually think the Brits eat roast beef with jam, and that it rains every day... OK that one I may concede (one of the several reasons I live in France now is to be rained on less). Part of me was ashamed of this ridiculous outburst, while another part was amazed that I could react that way, almost automatically. It was a bad habit I had picked up over the years. This bad habit with people is often heard when it comes to talking about breeds of dogs. All Staffordshire Bull Terriers are untrainable, all German Shepherds are aggressive, all English Springers are hyperactive etc. Speaking as the owner of Springers, I know that if mine were any more relaxed, they would risk slipping into unconsciousness (actually that was the case on a regular basis, even if Pru’s snoring could make the house shake, she was never disturbed…). The fact is that dogs – thankfully for training purposes – do share a common language, a common history and a common instinct, regardless of their size, shape or breed. They may have been genetically designed to be capable of performing a certain task well, but it is no guarantee that they will do it. How many greyhound owners have built racetracks in their gardens? How many Dalmatian owners have bought a carriage for the dogs to follow? How many Irish Wolfhound owners actually go out hunting wolves? In truth, a dog’s behaviour is very little to do with their breed, so we should do our best to avoid stereotyping, and instead look at the evidence right in front of us. The individual personality of a dog is so much more relevant to their behaviour. Siblings are often completely different to each other, despite having the same upbringing. I have even asked twins and have got the same reply. Anybody who has had more than one dog of the same breed will tell you that their dogs are not clones. This notion of clones is why I wonder if Barbra has noticed any differences in her actually cloned dogs… It would be fascinating to find out.